Because of God’s holiness…His Son did this for you and me! For weeks now I’ve been learning about the holiness of God. I feel this is one of the most important attributes of God because it’s His nature….it’s who He is and it’s the reason for the necessity of the cross of Jesus Christ. In studying about this something strange has happened to me. The more I read and meditated on the holiness of God…the more I saw the ugliness of my nature and I was truly sickened by this revelation. As God’s purity became clearer to me and I saw myself in the light of His holiness…..I cried! I was so upset about it that my husband gave me a bible lesson on Romans 6. He read the whole chapter to me and followed up with a bible lesson. He also gave me this scripture…..Romans 8:1 Therefore, there is now no condemnation for those who are in Christ Jesus, I thank God for my godly husband! These scriptures straightened me right up! I am still in awe of the holiness of God. I am also in awe of His love for us. Our whole lives are about Him. We who are Christians belong to God! A very high price was paid for our souls. These human bodies that we have are made up of mostly water and oxygen and turns into dust when we die. They are just shells that our spiritman lives in while we are here on earth. We are spiritual beings made in God’s image and our whole purpose is for God alone. To bring Him praise and to glorify Him! We are to study Gods word and live a holy life and after we live our lives… He will reward us with things to great for us to take it all in now. We will have an indescribable life forever with Him. This whole thing we call life has everything to do with God’s desire to create us and His ability to give us an everlasting perfect life in light of His holiness! When I look at myself now….I see God in me….I see His creation….I see an imperfect person….I see that I was Gods enemy…I see His grace and mercy for me….I see the cross….I see Jesus sacrifice and forgiveness…I see His love for me…I see hope and I see eternity. I want to live a holy life and I can because of Jesus Christ and the power and indwelling of the Holy Spirit. I can be what my Father God wants me to be…and that is to be like my brother Jesus. I want to live for my God even more right now after studying about His holiness. I understand why I need to. I know I won’t be able to be perfect for Him right now…but I will keep working on it anyway. In my heart I know what I want to be in Christ but God’s holiness showed me my own flesh. Psalms 51:10 Create in me a clean heart, O God; and renew a right spirit within me. This scripture is my prayer. I REALLY didn’t like what I saw…my flesh…but…I know I need to keep my eyes on the Lord for guidance. I will seek after Him all day every day stay close. I need to study His word and pray without ceasing. I need to know that Jesus will keep me from stumbling/sinning and He will present me faultless before my God. I need to listen to the Holy Spirit when He shows me the error of my ways in the light of God’s word. I need to ask for forgiveness when I sin (repent). I need to obey Him, love Him and others. I can do this…my heart wants to! You know after studying about God’s holiness I got really scared of God for a few days. I was like…”God don’t play!” That’s what I feel in my spirit…He doesn’t play games and He is nothing to play around with. We should uphold Him with the utmost respect and honor. When one of my daughters was a little girl, she told me “mommy…I’m scared of you”. I told her that I was scared of God and that’s a good thing. By being scared…I mean a healthy fear/respect for the authority of God. 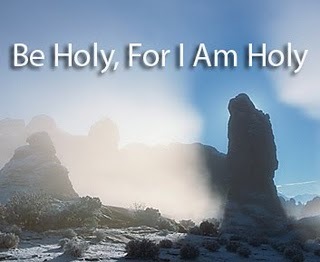 I take God’s holiness very seriously and I will stand up for His holy name even more than I ever did before. One big lesson I’ve learned about His holiness is that it reveals a new level of love that I didn’t realize before…but in light of studying His holiness…it’s revealed more of His love for me. I feel it through His holiness. I feel more of why Jesus went to the cross and what was His motive…which was His love for us and obeying His Father. I feel very special today. I feel that God went out of His way just for me (and you)! In the light of God’s holiness…it has added a new depth to my faith and in my walk with the Lord. Message for today: In the light of the Holiness of God His love for His creations shines through! 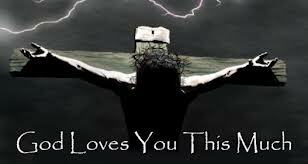 God loves you and me so very much!!!!! You cannot enter heaven and see God without 100 % holiness. His Holiness would burn you up. For the Lord your God is a consuming fire…Deuteronomy 4:24. God is light… so bright that there is no need for the sun in heaven. His light is powerful and so is His holiness. This light…His holiness will consume anything that is not holy. One would be consumed/burnt up by His purity which would happen because s judgment and wrath which is there because of His…Holiness. This is who He is and has always been. Jude 1:24 To him who is able to keep you from stumbling and to present you before his glorious presence without fault and with great joy…. Thank you God, Jesus and Holy Spirit… for making it possible for me to be holy like you… so that I don’t fall into sin and that I can be blameless before your presence. I will not have to bend my head in shame and I will be sooooo happy because I will be guiltless. I will look into the eyes of my God and receive all the joy that has been promised to me for being faithful and living a holy life. Thank you Jesus for your sacrifice! Thank you Holy Spirit for instructing me every single day on being holy and convicting me when I’m not! We are made holy by means of sanctification. Because Of Jesus and the work of the Holy Spirit in our lives…we have been made holy so now we can communicate directly with God in this human form. Even so…we must be clean. That’s why we ask Jesus to forgive us and wash us clean so our communication with our Father God is not interrupted. Remember…God does not tolerate sin! “Wash me Lord”… should be our daily prayer. Hebrews 10:10 And by that will, we have been made holy through the sacrifice of the body of Jesus Christ once for all. We are to be Holy because God commands it of us. 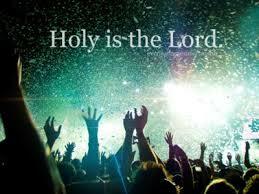 Leviticus 19:2 Speak to the entire assembly of Israel and say to them: ‘Be holy because I, the Lord your God, am holy. Matt 5:8 Blessed are the pure in heart, for they will see God. A pure heart is a holy heart and that is Holiness! Revelations 22:4 They will see his face, and his name will be on their foreheads. We will see our holy God’s face….and that’s a fact!!!! Be encouraged today!! Know how much God loves you and has done everything to assure that you will live with Him for all eternity in His love. We have an awesome future! Hang in there! Endure what you are going through! Keep the faith! Message for today: To him who is able to keep you from sinning and enable for you to be blameless and holy and to present you before his glorious and holy presence faultless with no guilt or shame and with the greatest joy and happiness forever….to our God and Savior who deserves all of our gratitude, praises and worship through His Son Jesus Christ to be exalted right now and for all eternity…so be it! The Holiness of God…Please read! We hear this phrase a lot…”The Holiness of God”. Just what is that? 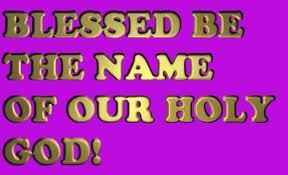 Holy is who God is! 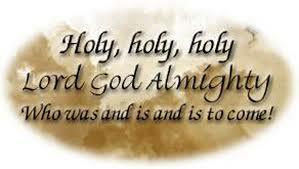 He is Holy, Holy, Holy! It’s His greatest attribute!!! It’s the essence of His character! It’s what makes Him a just God over all human beings. It’s the first thing a new Christian recognizes about Him. It’s by what everything we do is judged by! It’s the reason for the cross! It’s the reason Lucifer and those angels were kicked out of heaven. There is no getting around the Holiness of God! Nothing can bend it or escape it. 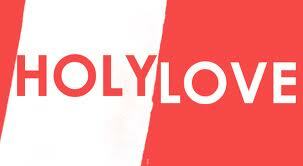 Godholiness…you cannot separate those words from each other! If God were not holy you would truly be scared to death of Him and rightly so! Anything unfairly could happen to you. But God is Holy so everything that happens to you is perfect, without error, just and pure. We should never be afraid in our relationship with Him…because our God is….Very Very Very Very Very VERY VERY VERY…….HOLY!!!!!!!!!!!!! Holiness means to me being perfect, pure, having no error, can’t tolerate any sin, totally just and righteous, containing no darkness and reflecting pure light. God is a Supreme being and there is no other perfect, without sin, Omnipresent, Immutable, Omniscience, Righteous, Unique, Sacred, Majestic, Glorious, Self-existing/Eternal, Sovereign, and Omnipotent being like Him anywhere. Never was and never will be! This is the Holiness of God and also the attributes of His nature! There is no other being that knows the past, present and future. No other being can be everywhere at the same time. God knows every thought of every person all at the same time. He knows how many hairs that is on everyone’s head at the same time. He can create universes and He can create any kind of living thing. He never changes. He is self-governing, independent and has supreme authority. The power that He has is unlimited. Our minds just can’t comprehend the level of awesomeness this super powerful being has. This alone should push you over the edge in your thinking about His greatness. God doesn’t lie, He doesn’t sin, He doesn’t do wrong, He is perfect, He is just, and he is totally righteous! 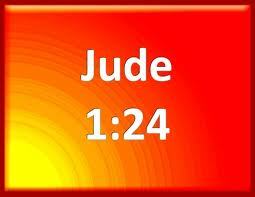 Job 11:7 “Can you fathom the mysteries of God? Can you probe the limits of the Almighty? In order to understand the Holiness of God you have to figure out who He is. You do this by studying the bible, praying a lot, going through hard trials and asking the Holy Spirit to help you and He will. It takes years to really understand who God is because part of the finding out is experiencing Him over time. I can say that after years of walking with the Lord and learning to trust Him… I feel I know Him. You know how I know Him now? I know Him because I hardly cry anymore when I go through hard times. I’ve learned not to cry but to pray!!!!! In my mind I know now that God is my Father and has planned everything for my life. I do what the bible says to do when the hard trials come… which is to come boldly to Him and ask for His help. I know my Father God will ALWAYS be there for me! I cast everything over to Him. It still hurts when I go through the trials. I am human after all! I pray and wait for my Father to work it out for me as HE sees fit. I’m 60 years old now and God has never failed me! Another thing you have to do when trying to understand the Holiness of God is… “YOU HAVE TO MEDITATE ON WHO HE IS!!!!!! !” You have to meditate on this beautiful planet, His design of it, the creatures on it, these bodies we have which is amazing. You have to mediate on this universe…the sky, the moon the sun and the planets. You have to meditate on the scriptures. You have to meditate on the past miracle in your life and other supernatural things that you know it could have only been God. Another thing you have to do is… you have to seek Him and ask Him to reveal Himself to you. I can tell you He will go out of His way to reveal Himself to you. The more you know about our Father the more you will begin to absorb His holiness into your spirit. It has to be slowly absorbed because you just can’t take in His Holiness all at once. It will be too much to comprehend. You also have to be clean…sanctified before Him. If you are sinning….REPENT and ask for forgiveness. Why should you do this? Because God is Holy so HE won’t be able to fellowship with you until you are washed clean. Understanding His Holiness changes you. It develops in you a healthy fear of God. Understanding Gods Holiness helps you understand why the crucifixion and resurrection was necessary. It makes you grateful to Jesus and thankful to God. 2 Corinthian 5:11 Since, then, we know what it is to fear the Lord, we try to persuade others. What we are is plain to God, and I hope it is also plain to your conscience. If we really understood the Holiness of God we would act better than we do. We would want to please this powerful Holy being that adopted us into His family. Just thinking about the Holiness of God and that we have Gods Holy Spirit living inside of us is very encouraging and exciting. But we don’t walk around thinking….holiness 24/7…but we should. We should be holy because God told us to do so. In doing so we would be like our Father God. I’m ashamed that I don’t act more holy. I want to but this human nature just gets in my way sometimes. Everyday I strive to live a holy life. It brings me to my knees a lot. I ask the Lord to search me…search my heart. I need to be in a right place with God because I’m a prayer intercessor and I have many personal needs also. 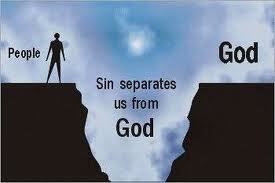 I know I can’t get in Gods face with sin hanging off of me. So I check myself and repent for all wrong….and then I approach the Lord. I want and need to live a holy life!! 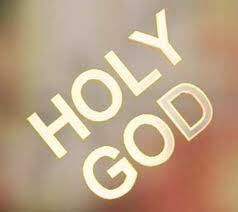 Leviticus 19:2 Speak to the entire assembly of Israel and say to them: ‘Be holy because I, the Lord your God, am holy. I thank God for His word and the Holy Spirit that lets me know when I’m not acting holy. I want to be like my Father. He is Holy!!! When you think about the Seraphim’s that cry out about how Holy God is all day and all night… you say to yourself…why does God want that said to Him all day and night? When we think something like that… it’s because we don’t fully understand the Holiness of God and that understanding won’t fully come until we get to heaven. So what do we do now? Well I mentioned a few things above and I pray it will lead you into a further understanding of God’s holiness. Let’s respect our God. Let’s respect His Holiness. 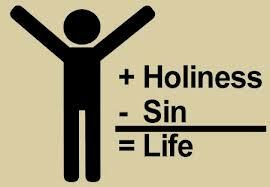 Press every single day and dwell on the holiness of God. The result is a personal revival and an intense deepening relationship with Father God. Everything in our lives should point to our Holy Father God. Jesus tried to explain this to the disciples when He was here. 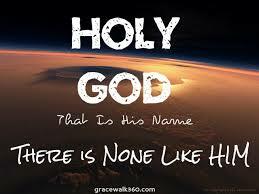 There is no other like our Holy God…HE is the I Am, the Alpha and Omega. He’s a powerful, all knowing, all seeing, wise and very Holy God. God is separated from anybody else in the whole universe because there is no other like Him anywhere. There is no evil in Him, no darkness and He cannot look upon sin. Not one drop of sin or anything corrupt. There isn’t anything to compare God with. He is untouchable! He is pure light…there’s no darkness in Him whatsoever!!! God cannot deal with sin…so if you have original sin (Adam and Eve’s sinning thing) He cannot touch you or come near you. You must repent and confess your sin and deal with it by asking Jesus Christ to forgive you and then believe in Jesus. Then and only then will God be able to have a relationship with you! You still will sin which can block your blessing from God….but thanks to Jesus Christ death and resurrection…you can be forgiven those sins by asking His forgiveness and be washed cleaned so your relationship with our Holy Father God won’t be put on pause and the blessings and relationship can flow once again. Why could this sin thing be a problem? Because God cannot deal with sin….why? Because He is…..HOLY! Jesus is the ONLY ONLY way for a human being to become a friend of God. Jesus is the only way to God! The bible is very clear on this. We humans need a Savior and God Himself sent His only Son. God had to look away from His precious Son to the point that Jesus cried out to God not to forsake Him…which had to be horrible for Jesus!! The agony Jesus went through…no not just the horrendous crucifixion…but the terror of seeing and bearing all of our nasty, disgusting, vile, horrific and stinking sin. One of the things that really hurt me about the savage things Jesus went through was when I read that they slapped Him. That hurt me so bad because I know how Holy God is and Jesus is God and they slapped my Holy God!! How insulting to His Holiness. This is why Jesus said they don’t know what they are doing… slapping a Holy God who came to save them. Oh my Holy God!…Oh my precious Jesus! If they only understood about His Holiness. If Jesus were to come here again there would be those who would slap Him again. In our heart and mind we should be bowed down in a state of constant worship to our God. I have had many moment recently… where I can be driving the car or sitting in church or a doctors office… and my eyes will well up with tears when my mind thinks about my Holy Father God. 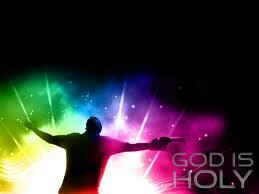 When I sing my solos in church I want to just sing my heart right out of my chest and bow before my Holy God. 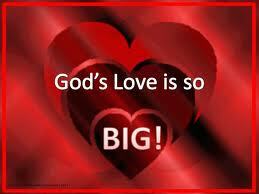 Everybody I know or have come into contact with knows how much I love God. I try to live right so others can see God in me and follow Christ. That’s why I want to live a Holy life. Holiness is the way to be because it reflects who my Father is. My God is a very very very Holy God. He is so pure, and so perfect. I come before Him with a very humble heart. I can come to this very Holy God only because of His love for me and because His only Son Jesus Christ came right down here to earth to make this relationship so intimate and possible. Can you imagine this very Holy God having such a close and personal relationship with something that He created. Oh how He loves me… and you. This week and really for the rest of your life here on earth…can you dwell/meditate on the Holiness of God? Let’s pray that the saved and unsaved will get this and that they too will be changed. Understanding the Holiness of God will be life changing!! Habakkuk 1:13 Your eyes are too pure to look on evil; you cannot tolerate wrongdoing. This is the Holiness of God for sure! Sin is an offense to my God!! Message for today: This is my mother way….my personal understanding and expression of the Holiness of God. I would have said it this way to my kids and their friends ( and I have!)….. Sin! He doesn’t like sin/evil! God Don’t Play!! Repent today. Ask for forgiveness..
“God don’t play!! !” He’ll give you an adjustment for ya sinfulness! Ya betta wake up and recognize about who He is. He ain’t playin’ wit you!!!!! He’s not gonna put up wit ya’ mess! Ya’ betta check yourself before you reck yourself! Ya’ betta get on your knees and ask for mercy and then you need to fly right. God ain’t play wit you! He bought ya’ into this world and He can take ya’ out! Let me break it down to ya this way….God is Holy and He don’t take no mess from anyone. I bow my soul to you oh Lord! Yesterday God did several little miracles for me. Just some things to make my life better and one thing in particular was funny and I experienced so much joy and laughter with Him. But when I woke up this morning and prayed….I had a tremendous sense of His utter Holiness. I feel that right now…His Holiness. I’m awed by it, in fear of it, inspired by it. 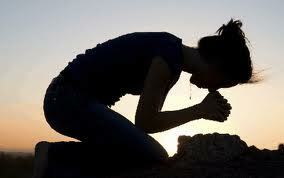 In my heart and mind I see myself at His feet worshiping a powerful Spirit being….my very very Holy God. Message for today: God deserves our Worship.